Lots of small homeschool nonprofits find themselves in a awkward situation. Their tax exempt status was revoked by the IRS and they didn’t even know it! Now they wonder how they can get tax exempt status back. 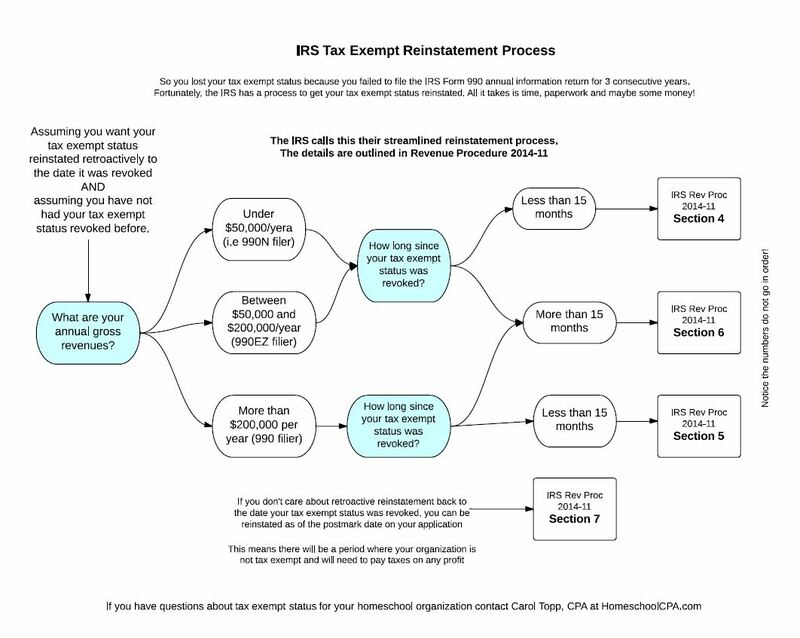 The IRS recently introduced a “streamlined” process to get tax exempt status reinstated. 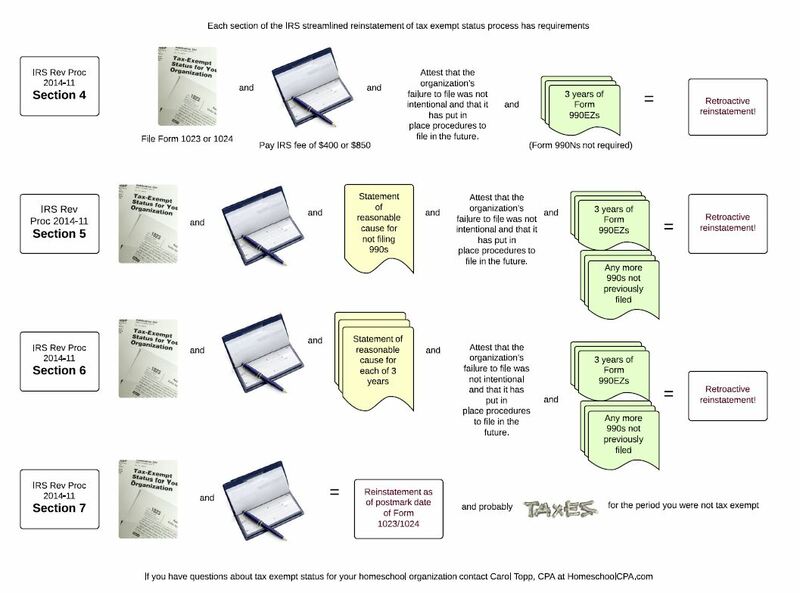 It’s all explained in IRS Rev Proc 2014-11 if you like reading IRS documents! What the IRS calls “streamlined” means they went from a snail’s pace to a turtle’s pace! This new procedure still involves a lot of paperwork (the IRS loves paper) and paying an application fee. It may also include back filing the Form 990 Information returns you failed to file. I created a flowchart to explain the process in pictures. I hope it helps. If you have any questions about getting your homeschool organizations tax exempt status reinstated, please contact me. Carol Topp, CPA. We can set up a phone consultation to see where you are and what the best option is for your organization. IRS has streamlined procedure to get tax exempt status reinstated. How come we never had to file anything with the IRS before? Can’t we operate without IRS tax exempt status? Does a nonprofit need to file any tax returns before they apply for tax exempt status?